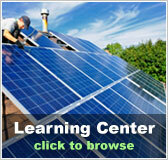 California Free Solar Evaluation | Solar Panels | Solar Power | Site Map | Bookmark This Site! Solar power in California is growing at a very rapid pace. A renewable portfolio standard requires that 20% of California’s energy come from renewable resources by 2010, and 33% by 2020. 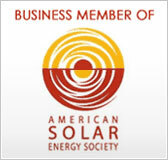 Due it its location and geography, solar is one of the most effective of these sources in the region. 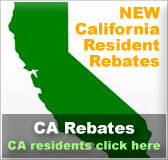 In fact, California leads the nation in the number of homes that already have solar panels installed residentially. 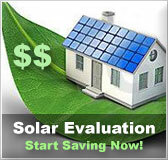 If you are moving to the CA area, it is definitely worth getting a free solar evaluation to see if this will benefit you. Berkeley plans to be the first city in the country to allow citizens to install a solar kit without any initial payment. This program is in the pilot stage and will involve higher property taxes simultaneously with the energy savings. Goals like these make California one of the most promising and forward-thinking regions as far as solar panel installation.